Click here for audio of Episode 211. Today, some thoughts about pain and priority. The University of Houston's College of Engineering presents this series about the machines that make our civilization run, and the people whose ingenuity created them. Creative people don't look very nice when they're fighting over credit for their ideas -- especially when they're fighting about ideas that serve such a basic human need as avoiding pain. A hundred and fifty years ago a good surgeon was defined by his speed as much as anything. A leg amputation, for example, was excruciatingly painful, as long as it lasted. A good surgeon finished the amputation itself in less than a minute. People tried everything from alcohol and opium to biting bullets and hypnotism to stem the pain. But nothing really worked. The new science of chemistry was producing substances that could knock a person out; but we were slow to make the connection. Ether had been around -- 18th-century party-goers were known to seal themselves in a room with an open bowl of ether until the first people went from merely high to unconscious. But not until 1842 did a Georgia surgeon named Crawford Long start using ether in his operations, and he didn't publish the technique until much later. In 1844, Horace Wells, a Boston dentist, recommended using nitrous oxide. He let his own tooth be extracted to prove the point. Two years later, another Boston dentist, William Morton, made two public demonstrations of ether. First he put a patient under and pulled his tooth. Then he prepared a second patient for an operation by a well-known, but skeptical, surgeon. Afterward, the surgeon allowed that ether was, in fact, "no humbug." So Morton patented ether as an anesthetic, and that started a vicious legal fight. Wells finally committed suicide over the whole business. In the meantime, many conservatives -- presumably ones who weren't going into surgery -- opposed anesthetics on a variety of grounds. Anesthesia didn't gain acceptance until Queen Victoria took chloroform for the birth of her eighth child in 1853. 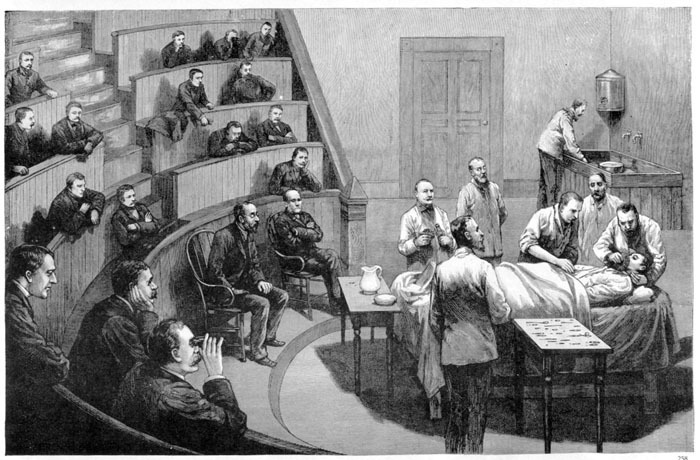 In retrospect, we see that none of these people invented anesthesia. It was pretty clear by the 1840s that several chemicals would knock a person out. The scientific literature shows that many people were thinking about using chemicals to dodge pain. But anesthesia had to wait for medical people to set up the means for using it and for breaking down public disbelief. Still, I do like Crawford Long. He was the first to use ether, and he gave little thought to credit. On the other hand, it finally took Morton's showmanship to show surgeons that they really could end the terrible pain they had to inflict.